A Medical College of Virginia graduate, Dr. David Pariser received his dermatology training at the University of Miami Jackson Memorial Medical Center. He is on the Board of Directors of the American Academy of Dermatology, and is currently a professor of the Eastern Virginia Medical School Department of Dermatology. 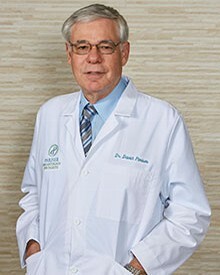 As the senior dermatologist in the practice, Dr. David Pariser has brought over three decades of experience to tens of thousands of patients in the Hampton Roads area. In addition to his clinical practice, Dr. David participates in clinical research and is in the forefront of pharmaceutical development in the field of dermatology. Quite active in the affairs of the American Academy of Dermatology, Dr. Pariser has served on over 85 committees, including the committee on the Guidelines of Care, Managed Care, Task Force on Universal Health programs, the Scientific Assembly Committee, Health Care Reform Issues and Regulatory Affairs, and the Advisory Board for which he served as Vice-Chair for two 4-year terms. He has been a representative to the Medicare Carrier Advisory Committee for Virginia, and is a past Chair of the Committee on Organizational Structure of the American Academy of Dermatology. He was also the Assistant Secretary-Treasurer for 3 years, Secretary-Treasurer for 3 years, a Board member of the Academy for 10 years, and the 2009 President. 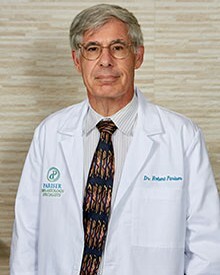 After graduating from the Medical College of Virginia, Dr. Robert Pariser completed dermatology specialty training at the University of Miami Jackson Memorial Medical Center. He is a professor in the Department of Dermatology at Eastern Virginia Medical School. 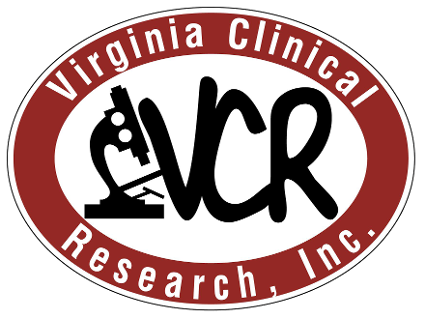 Also, he is an associate professor of the Department of Pathology at Eastern Virginia Medical School. He is member of the American Medical Association and the American Academy of Dermatology. Dr. Robert Pariser enjoys the challenge of seeing both general dermatology and clinical research patients, in addition to being a respected dermatopathologist. 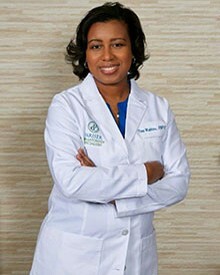 Tina Watkins is a board certified family nurse practitioner specializing in dermatology. She earned both her Master and Bachelor of Science in nursing degree from Old Dominion University. She enjoys providing compassionate care to individuals with general dermatology concerns. For over a decade, she has helped to conduct over 100 clinical trials in dermatology for such conditions as psoriasis, atopic dermatitis, and acne. She is proud to be an active contributor in advancing medicine through research. A native of Virginia Beach, Tina enjoys traveling with her family, cooking, dancing, and discovering new hobbies.